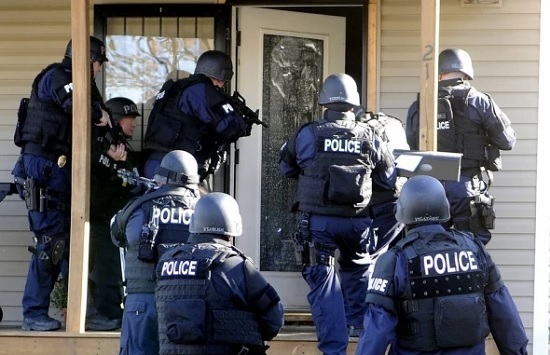 Kennesaw, Georgia — It’s likely you won’t know about the gun confiscation order until government agents bust through your door, demanding you “hand ‘em over — or else”. And they’re empowered to bust into homes and seize your firearms for nothing more than a complaint! With the General Assembly in Atlanta back in session, I’m afraid law-abiding Georgians could soon be looking straight at this same gun control disaster. That’s why it’s critical your State Legislators hear from you immediately — no matter their party. So will you please your NO GUN CONFISCATION ORDERS petition right away? You see, even before the smoke cleared from last fall’s elections — and the Stacey Abrams scare in our Governor’s race — Michael Bloomberg and his cohorts had been plotting an all-out push for so-called “Red Flag” Gun Confiscation Orders in Georgia this year. The fact is, the gun-grabbers are convinced they’ve got plenty of pals in BOTH parties who are ready to deal away your Second Amendment freedoms. And I’m afraid without your IMMEDIATE action, the Gun Control Lobby’s scheme to bring its so-called “Red Flag” Gun Confiscation Orders to Georgia will succeed. I need every Second Amendment supporter to recognize just how serious this is. Sadly, in state after state across the country, even supposedly “pro-gun” Republicans have fallen for this latest gun control charade — claiming it’ll help stop those hell-bent on committing violence. In fact, this scheme first passed into law in Florida, where Republicans control the entire state government. In Illinois, it was signed by GOP Governor Bruce Rauner. Republicans in Iowa have been openly discussing RAMMING it into law early this year. And Republicans in Michigan, Ohio and Pennsylvania are pushing for passage as well. Your State Representative and Senator need to hear from you TODAY — without your IMMEDIATE action, I fear the worst. So, will you please sign your petition right away? I can hardly begin to explain what a DISASTER it would be if so-called “Red Flag” Gun Confiscation Orders came to Georgia. Government agents would be able to bust into your home and seize your guns even if you haven’t been arrested — much less convicted of anything! All that has to happen is that someone complains about you — an ultra-liberal aunt mad at a Facebook post you made! Or it could be some crazed ex-love interest who wants to poison your reputation among everyone you know. Once your guns are seized, you’ll be spending weeks and thousands of dollars in legal fees to try and get them back. And if some anti-gun judge or prosecutor just doesn’t like you, your goose could be cooked. But won’t these “Red Flag” seizures help law enforcement stop madmen who are prepared to kill? Just consider the facts. As anyone in law enforcement will tell you, you can tell A LOT about a person’s intentions just with a couple questions. But they’ll also tell you that no gun control law on the books will ever do a lick of good if law enforcement fails to do its job — like we saw at Parkland, Florida last year. Gun-grabbers know all of this, but they don’t care . . .
Their goal is to completely ELIMINATE due process, enabling bureaucrats to decide who gets guns and who doesn’t. That’s really where all of this is headed. For now, they tell you and me, straight faced, it’s just to stop “dangerous” individuals. But who gets to define that? In Missouri, law-abiding Americans with “Don’t Tread on Me” flags or campaign bumper stickers supporting the “wrong” candidate for President of the United States have been labeled potential domestic terrorists. Once the Gun Control Lobby gets the camel’s nose under the tent, they’ll keep redefining “dangerous” until it includes every single American with a gun. *** Pay for hard-hitting radio, newspaper and even TV ads if I can raise the resources. A program this large isn’t going to be cheap. But I’m afraid it’s the ONLY way you and I are going to stop this GUN CONFISCATION freight train. Of course, I can’t do any of this without you. Please sign your petition today!